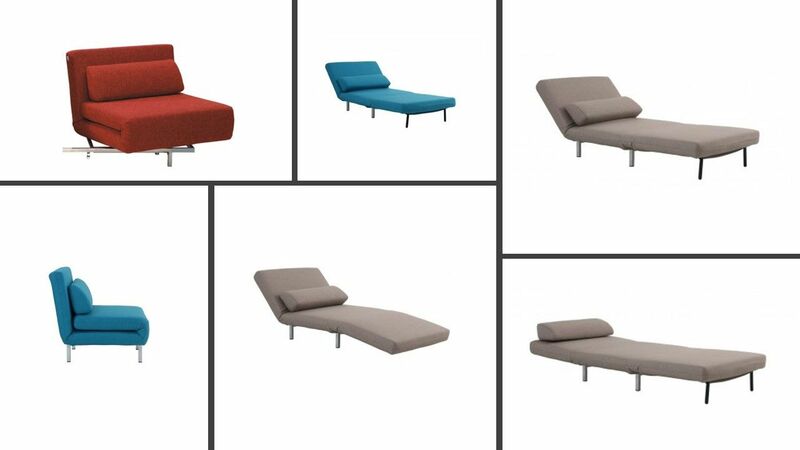 Convertible modern futon Chair bed constructed from Steel frame adding durability and modern look to this futon sofa bed padded with firm Poly Foam. This futon will sit like a chair and half, converts to a chaise lounger with 2 position adjustable back and folds flat as a plat form bed. Available in Dark gray or red.